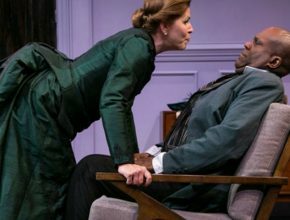 Contemporary playwright Lucas Hnath’s wickedly smart “A Doll’s House, Part 2,” a co-production with Actor’s Express, relocates to Lawrenceville’s Aurora Theatre. 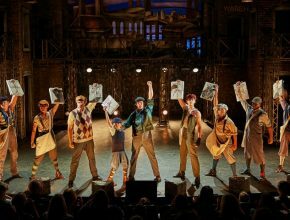 Aurora Theatre uses a cast of 31 to tell the story of “Newsies,” inspired by the real-life Newsboy Strike of 1899 in New York City. 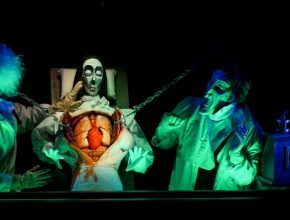 It offers a Tony Award-winning score featuring 19 songs, lots of dancing and a live orchestra. NY's Eve. Comedy. Aurora. Spectacular! The Lawrenceville theater has laughs, a full bar and no two-drink minimum. Let that put a smile on your face. 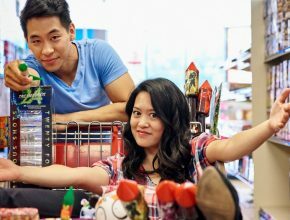 ’12 Dates …’? Really? Merry Christmas! 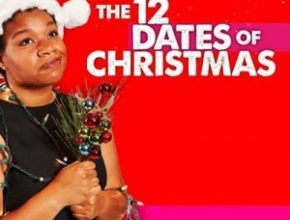 “The 12 Dates of Christmas” follows the misfortunes of Mary, who’s sees her fiancé kiss another woman while watching the Macy’s Thanksgiving Day Parade on TV. Back in to the dating pool she goes. Uh-oh. Is there a phantom loose in the auditorium of Woods Mill Middle School, or are the rumors of a curse just talk? Find out this weekend only. This sort-of sequel finds the notorious accuser haunted by the lives she ruined and the blood on her hands. Say it with musicals. Go north of town for “Mary Poppins” at Aurora Theatre or south for Serenbe’s “Oklahoma!” Tell us where you go and what you like.